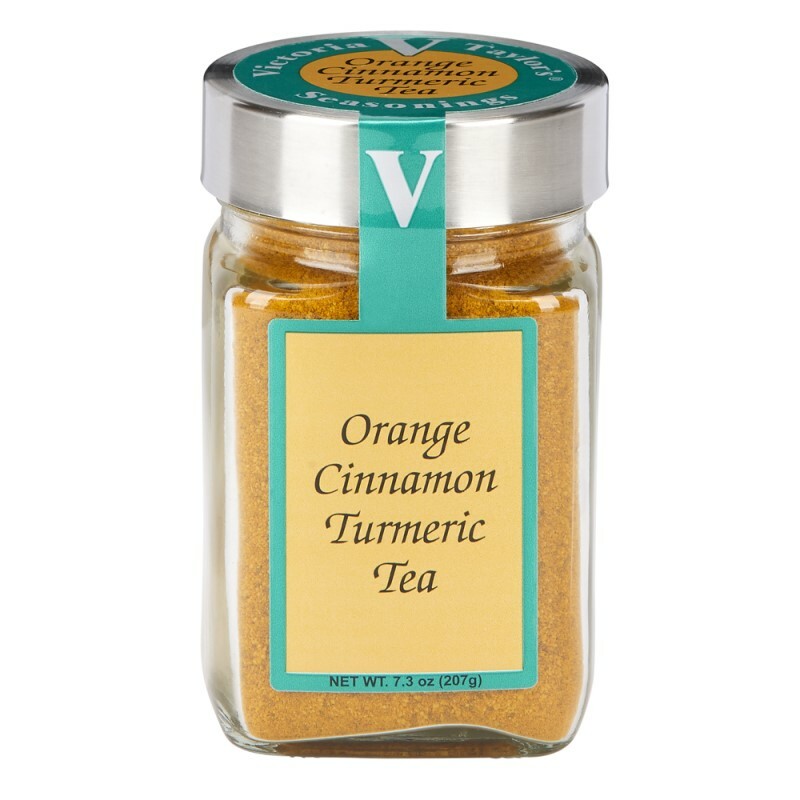 Victoria Taylor's Orange Cinnamon Turmeric Tea is blended with honey granules, cassia cinnamon, natural orange oil and the highest quality ground pepper - a key ingredient for the successful absorption of Turmerics' magical properties. This delicious tea is simple to make and an easy way to incorporate the health benefits of Turmeric into your daily diet. To make combine 1 teaspoon Orange Cinnamon Turmeric Tea with a mug of hot water. Stir to combine. Honey granules (cane sugar, honey), demerara sugar, spices (anise, black pepper, cardamom, cinnamon), turmeric, natural flavors (vanilla, orange oil, spice extractives), citric acid, extractive of turmeric.